I’m not a girly girl and I don’t much like colour, but there’s a particular shade of pink that I can’t resist. It’s a dusky, old-fashioned sort of shade, and everyone else on Pinterest seems to be equally enamoured with it. Like Pinterest, this shade of pink seems to be an acceptable balance between full-on girlishness and subtle, measured style – or so I believe. Having noticed the new, bright pink rhubarb in the garden last week, I decided to use some in a sort of soft-fold ice cream today, with rose water and toasted hazelnuts. Garden-grown rhubarb is never quite as pink as the forced shoots which appear in shops in early January, but I think it’s just as pretty, in its own dusky way. 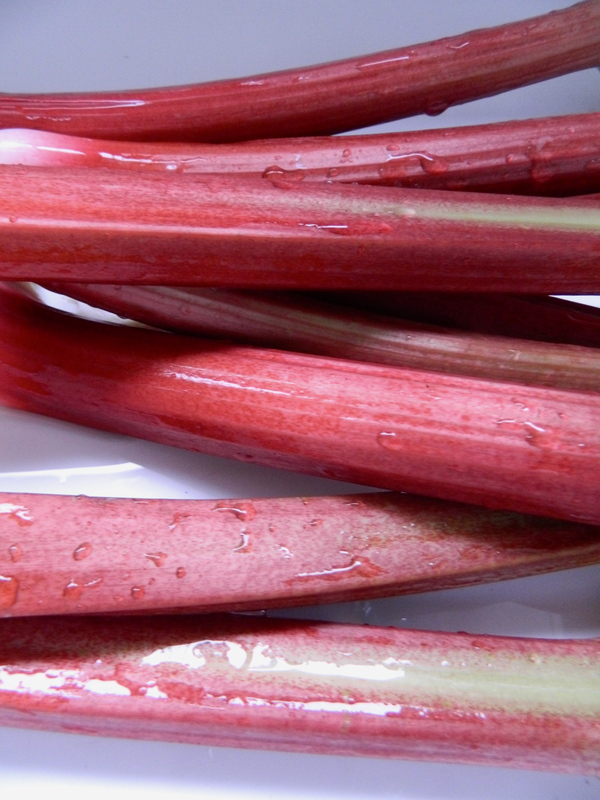 Remove the leaves from the rhubarb stalks, slice and put in a saucepan with the caster sugar and rose water. Simmer very gently for around 20 minutes. If the purée really isn’t pink enough, add a tiny drop of red food colouring or some raspberry coulis. Taste to make sure it’s sweet enough; add a little more rosewater if desired. Cool and set aside. 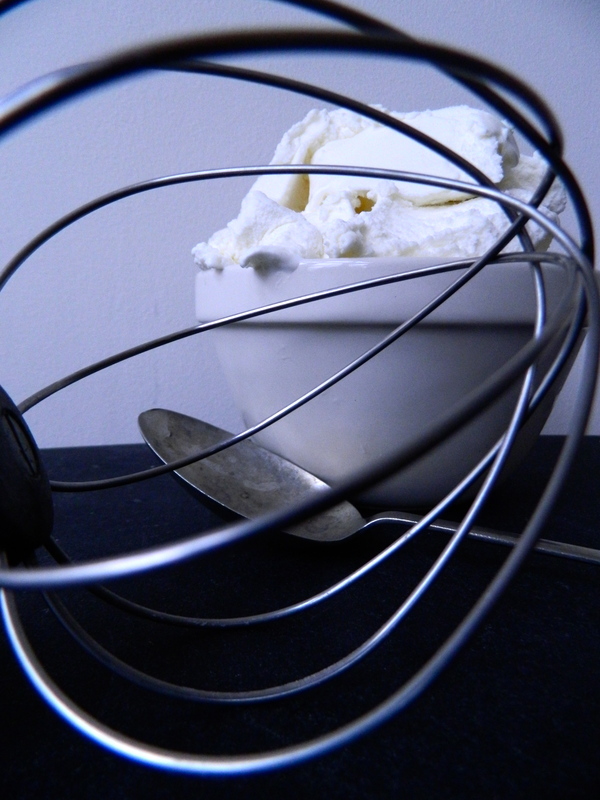 Whip the (slightly softened) ice cream in a free standing mixer, add half the hazelnuts and put it back in the freezer for a few minutes. When it’s firm but still malleable, swirl a few tablespoons of the purée in. Re-freeze, allow to thaw slightly and serve with more toasted hazelnuts, rose petals, whatever you like.